Integrity, accountability, and leadership are the main principles underlying the work of LSI's Academic Department. The Academic Department at Language Systems is dedicated to providing challenging courses to our student body in a supportive environment. Education with quality is what we care the most. Carlos is from Los Angeles, has a BA in Geography/Environmental Studies from UCLA, and is bilingual in Spanish and English. He is also TESOL certified. 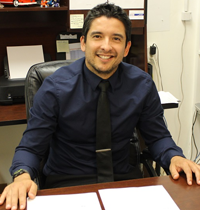 Prior to his promotion as Program Coordinator, he had been an instructor for all levels at LSI – South Bay for about 4 years. He spent two years teaching in Japan, first at a language school and next as an instructor in the JET program. In addition, he taught in China for a summer. Sylvia is from Los Angeles and has a BA in Communications from UC San Diego. After graduation, Sylvia spent one year teaching in Shanghai, China. She was a teacher for all ESL levels and components at LSI – South Bay starting in 2007. 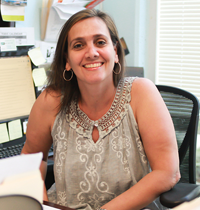 In 2010, Sylvia was promoted to the position of Program Coordinator at the South Bay school. Sylvia is interested in different languages and has studied Spanish, Chinese, and Japanese. As an English graduate from the University of California, Irvine (UCI), Hugh Alexander Kingston has devoted an extensive number of years towards the teaching and development of educational materials and programs that specifically target English language learners. Hugh’s educational experience includes teaching and program development in both the United States and Japan. Having had many years in the field of adult learning, Hugh generally tends to favor a more communicative approach to teaching and believes in the value of applying classroom learning to real-life situations. As Program Director for Language Systems’ Downtown Los Angeles campus, Hugh constantly encourages English language learning through the exploration and discovery of our students’ new urban environment. Rika is originally from Japan, but grew up and attended school in the United States, so she is bilingual in Japanese and English. 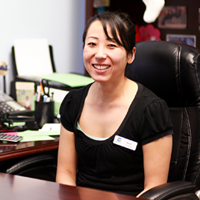 Rika has been part of the LSI family since 2004. Luciana is from Porto Alegre, Brazil. She speaks Portuguese and English. She started out working at LSI – Torrance in January 2001 and was promoted to the position of Office Manager at LSI – OC in 2008. 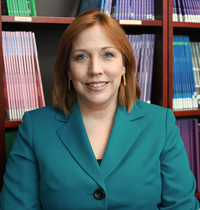 Michelle is from Seattle, Washington and has an MA in International Studies from the University of Washington. She taught ESL for over 12 years, including TOEFL®. She has been in the ESL field for over 20 years training other teachers, developing curriculum and managing academic programs. She taught ESL in Japan for two and a half years. Bhumika was born in India and grew up in Los Angeles. She has a bachelor’s degree in Liberal Studies from Cal State University of Fullerton. Bhumika started working full-time for LSI starting in 2005. 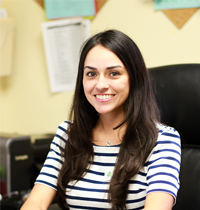 She taught all ESL levels and components at LSI – South Bay and LSI – Orange County. In 2019, Bhumika was promoted to the position of Program Coordinator at the Orange County campus. She can speak three languages, enjoys watching movies, and loves trying food from different countries.